There are so many factors involved in the development of lower back pain that it is difficult to address all of them. However, we can gain a lot of ground in defeating this debilitating problem with a few simple steps. As we have discussed many times, OA is not caused by a single factor. It is a combination of many factors, some of which we have touched on briefly in past issues of the Arthritis Chronicle. One that we have talked about is toxicity but that bears a little more discussion. You see, a great deal of lower back pain is a result of inflammation that can be brought under control by using a high-quality liquid glucosamine, moderate exercise and drinking water to "detox" the pollutants that invade our bodies. Often called undischarged toxicity, these toxins play a major role in the development of arthritis in both men and women. What's happening to my back? Broadly speaking, when most back pain begins to hit you, much of the cartilage that protects the bony structure in the lower back has worn. As well, most of us suffer from some form of dehydration that when combined with a diet high in acid crystal-forming toxins further complicates our lower back pain. I mentioned that I prefer distilled water. I do because much of the water we drink today (whether from our home taps or store-bought) is filled with chemicals and minerals. Nonetheless, if cost is a factor and buying distilled water is too expensive for your diet, just stay with a regimen of whatever water is available to you. 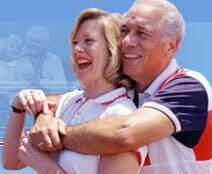 If you are over 40, it is highly likely that you are already experiencing lower back pain. Of course, there can be a great many reasons for that. Nonetheless, most who have begun a regimen of eight full glasses of water a day combined with using a high-quality liquid glucosamine will begin to feel the difference. Don't feel that using other liquids such as sodas or juices is going to do the job. It is not, believe me. Ninety Nine (99%) of those with lower back pain can attribute it to the accumulation of toxins that are contributing significantly to joint degeneration and inflammation in surrounding tissues. Water is a major "healer" in getting those toxins out of your system. Give this water regimen a try for a few months and keep a diary along the way. Most of you are going to be pleasantly surprised. Have a drink on me. In fact, have about eight of them.